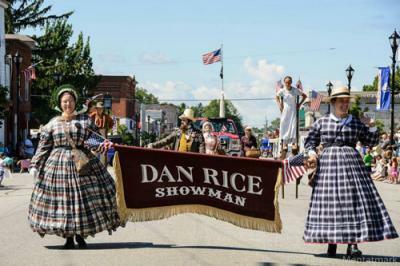 He's a renowned American figure who is celebrated annually through a three-day celebration in a township that he once considered home - just west of the city of Erie – in Girard. And his celebration – Dan Rice Days – is an affair that recognizes the innovator, political candidate (he ran for Senate, Congress, and President) and most importantly – entertainer. While Rice was mainly preeminent before the American Civil War, he is responsible for changing the circus into what it is today by mixing animals, acrobats, and clowns [something apparently unheard of long ago]. Unfortunately his talents slipped somewhat into obscurity – so much so, he's even been coined as "the most famous man you've never heard of."